No matter how attentive and cautious you are as a cyclist, your status in traffic is always precarious. Legally, bicycles are classified as vehicles alongside cars, trucks, and motorcycles. But bicycles are hundreds of pounds lighter, move much slower, and possess few (if any) safety features — making every foray into traffic dangerous and terrifying. Most cyclists are all too aware of dangers on the road and take every precaution not to become another bicycle accident casualty. Reflective gear increases visibility to motorists. Helmets reduce the risk of head and brain injuries in the event of a crash. Unfortunately, no matter what precautions you take, you can’t control other people on the road. Someone else's negligence or recklessness may end up hurting you. Why Should You Hire a Bicycle Accident Lawyer? In the aftermath of a bicycle accident, you shouldn’t have to worry about hefty medical bills, property damage, lost wages, and other related expenses while trying to recover. A qualified, compassionate bicycle accident lawyer will fight to obtain fair compensation, so you can focus on recuperating. 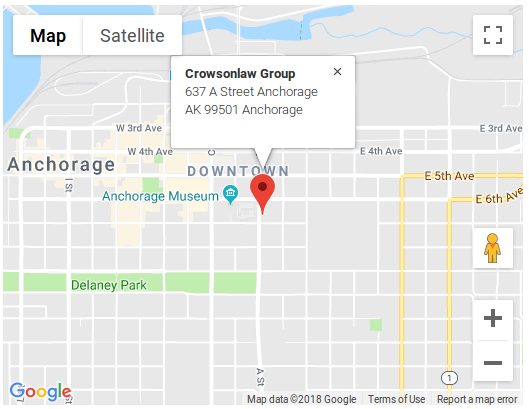 At Crowson Law Group, we understand how devastating and life-altering bicycle accidents can be. We want to get you back on your feet and out on the road. If you’ve been injured in a bicycle accident caused by someone else’s negligence, our experienced team of attorneys and legal staff will carefully listen to your case. Then we will evaluate all the circumstances and let you know what options you have for proceeding. 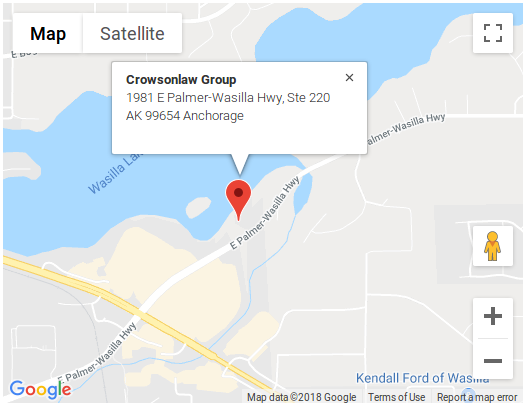 If you or a loved one has been injured — or you have lost a loved one — please contact Crowson Law Group online or by email, or at 855-677-9393 (toll free), 907-677-9393 (Anchorage) or 907-519-0193 (Wasilla) to speak with our Anchorage or Wasilla personal injury lawyers. Our phone lines are open 24 hours a day, seven days a week. We proudly serve all of Alaska and are here to help. Your initial consultation is free and confidential.